Yesterday, being the totally klutzy gal that I am, I took a spectacular spill at a friend's house and now I have the blackest of black bruising on my bum and hip. The stupid thing is after I fell, I just lay on the floor like a complete moron whilst my friend watched on horrified, and I laughed and laughed myself stupid. Why do we do that? You know laugh when we hurt ourselves or see someone else do something really dumb and painful? Is it nerves, embarrassment or adrenalin? Or was it a cocktail of all three combined with the fact I was Goddamn sober to boot and all that was left for me to do was laugh at myself? What ever. I guess I'm just very good at falling over and it may just be one of my great talents in life. When I'm not sporting a black and blue bum, I prefer to be more of a beach bum (did you just notice my lamo attempt at a smooth segue then). So apart from being a beach loving gal, you know how I love me a good time too right? Right! So how do I combine the two? 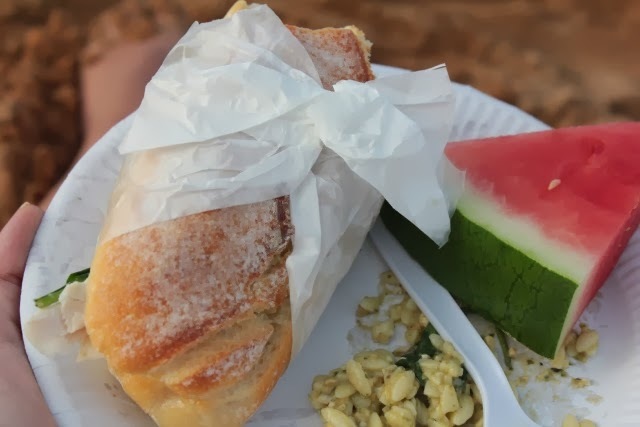 With a beach picnic that's how! 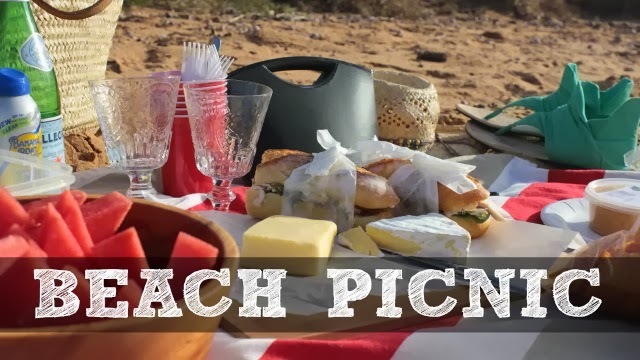 Click here to check out my Beach Picnic over at Kidspot Village Voices.